Like many British detective series (and practically no American ones), the Adam Dalgliesh novels were faithfully dramatized for television. Several of them were presented as a multi-part series, as might be accorded the classics of Austen, Charles Dickens, or Anthony Trollope, but rarely detective stories. The Dalgliesh novels had the complexity of character and plot to stand up to long-form presentation, and the results may be the best series of detective-fiction adaptations in the annals of television. They stand alongside the novels themselves as the best possible memorial to one of the finest, and least replaceable, crime writers in recent memory. I believe I have the all of those British productions on DVD. Roy Marsden, perfectly cast, portrays Dalgliesh in all but the last two. Martin Shaw, another fine actor, took over the role for those. P.D. 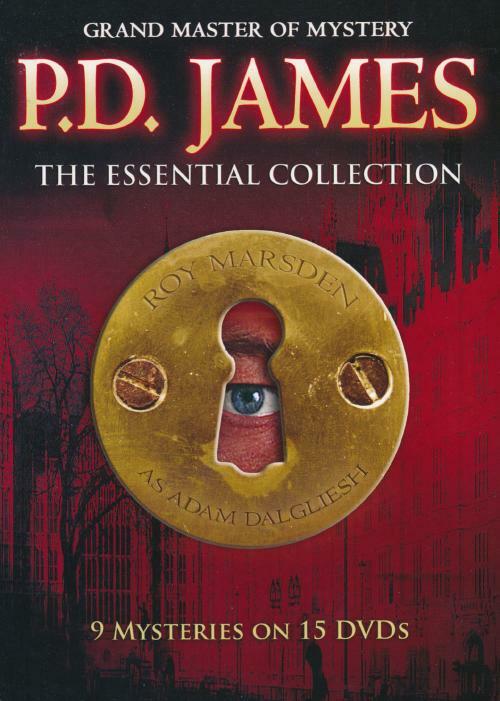 James: The Essential Collection collects nine of the stories. They may also be available streaming. Just two nights ago I spent over four hours watching the three episodes of Death of an Expert Witness. I started too late in the evening thinking I might watch over several days but instead sat through them all, not finishing until about 3:00 am.